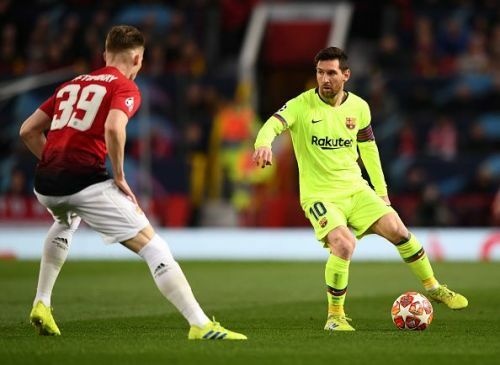 Former Barcelona and Spanish footballer Josep Maria Fuste has hailed Lionel Messi, claiming that the current Blaugrana captain is even better than Pele and Di Stefano. Josep Maria Fuste was former Barcelona and Spain midfielder, who led the Catalan giants in 1960s and early 1970s. During his tenure as a captain, Barcelona enjoyed success in cup competitions and helped Spain win the Euro Championship. On the other hand, Lionel Messi remains football's finest in our era. The Argentine genius has won everything there is to win in the game with his club and won five Ballon d'Or awards among other notable accolades. But Messi's inability to inspire his national team to a trophy has been a major talking point over the years. The 31-year old is surely enjoying one of the best campaigns in his glittering career in 2018/19. Messi has scored 43 goals and provided 21 assists in all competitions, which is better than any footballer in Europe's top five leagues. Messi leads the race for European Golden Shoe with 33 league goals, is the top scorer of UEFA Champions League with 8 goals and also leads the assist charts with 14 league assists. It goes without saying that the Argentine magician is head and shoulders above the rest this season. Former Blaugrana captain believes Messi is the greatest player ever, ahead of Pele and Di Stefano. "I've not seen anyone better than Messi." "I've always thought that Pele and [Alfredo] Di Stefano set the benchmark, but I think Messi is ahead of those two." Fuste also gave his views about upcoming second leg clash with Manchester United in the Champions League quarterfinals. "This Barcelona side have many players who know how to play," he said. "Those that start are very good, but the other players [on the bench and outside the squad] still have to adapt to this style." Barcelona welcome Manchester United after having already won 1-0 in the first leg at Old Trafford.